HALIBURTON, ROBERT GRANT, lawyer, author, and anthropologist; b. 3 June 1831 in Windsor, N.S., son of Thomas Chandler Haliburton* and Louisa Neville; brother of Susanna Lucy Anne Haliburton*; d. unmarried 7 March 1901 in Pass Christian, Miss. Robert Grant Haliburton was the second youngest of 11 children. When he was four years old, the family moved to a 27-acre estate in Windsor called Clifton, where he was raised in an aristocratic environment. He studied classics at King’s College in Windsor, receiving an ma in 1852. (He would be awarded an honorary dcl in 1876 in recognition of his scientific researches.) Called to the bar in 1853, Haliburton established a practice in Halifax and shortly after became interpreter and translator of German and French in the Vice-Admiralty Court. He was leading counsel for the proprietors before the Prince Edward Island land commission in 1860 [see Edward Palmer*] and served as a commissioner during the settlement of the Island’s land question in 1875. The following year he was created a qc and appointed to the council of the Nova Scotia Barristers’ Society. Haliburton rose to the rank of lieutenant-colonel in the Nova Scotia militia, and in 1862 he was made an aide-de-camp to the lieutenant governor, Lord Mulgrave [Phipps*]. He angrily resigned two years later because of the refusal of the government to provide any compensation even though the duties of the office had increased. 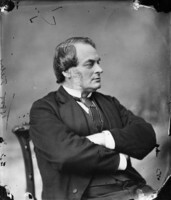 Haliburton never established a permanent place of residence in Halifax; he spent some time in Ottawa in the late 1860s and resided in England from 1871 to 1876. The following year he set up practice in Ottawa, but ill health forced him to abandon it in 1881 and spend his winters in tropical or semi-tropical climates. He lived for a considerable time in Jamaica, where he successfully promoted a remedial act to improve the poor-relief system, a measure that was eventually adopted by the other British West Indian colonies. During his later years, Haliburton primarily pursued scientific and anthropological interests. Paternal influences were evident in Haliburton’s life. He declined a promising political career on his father’s advice, inherited his ideas regarding imperial unity, and, in poetry he wrote, drew on Haliburton Sr’s literary creation Sam Slick. Their personal relationship is difficult to discern, but Robert seems to have respected his father, since he assisted the Haliburton Club in publishing a memorial, for which he wrote the biography. All too often, however, Haliburton is identified by contemporaries and biographers simply as the son of Sam Slick; he deserves more recognition for his own contributions to posterity. 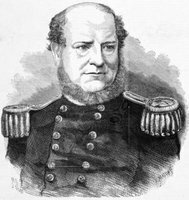 Although Haliburton found colonial politics unattractive, he had strong concerns and opinions, which were voiced through his involvement in various societies and through his writing. His reputation as an author, according to historian Del A. Muise, was “not easily matched by the other pamphleteers of the province.” Haliburton was interested in the development of Nova Scotia’s agricultural potential. In 1861 he headed a survey to determine the prospects for immigration to the province, and a year later he served as secretary to the Nova Scotia commissioners for the International Exhibition in London. He was corresponding secretary of the Horticultural Association and International Show Society and first president of the Nova Scotia Fruit Growers’ Association in 1863. Haliburton has been identified by Muise as one of the “twin prophets of the industrial abundance of Nova Scotia.” (The other was Sir John George Bourinot.) Following the dissolution of the General Mining Association’s monopoly in Nova Scotia in 1858, Haliburton was one of the competitive investors who took up mining rights in the Pictou coalfields. As spokesman for the Nova Scotia Coal-Owners’ Association, in the late 1860s he went to Ottawa, where he was a leading agitator for a tariff on American coal. Although he later commented that he ultimately preferred free trade, he believed that Canadian protectionism was rendered necessary by the implementation of American tariffs, which effectively forced Canada into self-sufficiency as a nation. 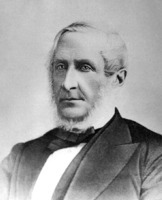 Haliburton therefore saw confederation as the “most judicious” means of exploiting Nova Scotia’s resources, and he urged the adoption of a “self-reliant policy” to bolster economic consolidation and thereby ensure Canadian unity. He expressed these views in two pamphlets published in 1868, The coal trade of the new dominion (Halifax) and Intercolonial trade: our only safeguard against disunion (Ottawa). The latter work is sometimes referred to as “McGee’s legacy,” for Thomas D’Arcy McGee* had discussed similar sentiments with Haliburton on the night of his assassination. It is also said to have been a foreshadowing of the National Policy of 1879 [see Sir Samuel Leonard Tilley*], although historian Carl Berger argues that it was primarily an anticipation of dominion subsidies for Nova Scotian coal. 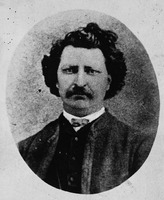 Haliburton was a founding member of the Canada First movement [see William Alexander Foster*], further evidence of his commitment to the new nation. It was initiated in Ottawa in 1868 by Haliburton and five other young intellectuals, who met together to socialize and discuss the problems and challenges that faced the country. These men cultivated an aggressive Anglo-Saxon nationalism, as witness their agitation against the Métis during the Red River uprising in 1869–70 [see Louis Riel*]. Shortly after that, however, they lost control of the movement to Liberals who transformed it into a political party. Although scholars differ on its significance, the movement evidently had an impact on the original members, who individually continued their efforts to foster the growth of national spirit. Haliburton travelled to major centres in the country to lecture on Canadian nationalism. In his most notable address, published as The men of the north and their place in history . . . (Montreal, 1869), he endeavoured to formulate a mythology for the new nation. The speech has been identified as one of the first attempts to apply coherently to Canada the theme of northern superiority. Haliburton was not campaigning for national independence. Rather, like many other imperialists, he saw Canada’s future as lying within a commercially consolidated imperial federation. According to Berger, this conception of imperial unity was a form of nationalism, since Canada’s fate and fortune were the primary concerns. Haliburton attempted to promote imperial unity while in England by purchasing the St. James’s Magazine (London) and giving it a second title, United Empire Review. Moreover, he was concerned about the British government’s “disintegration” policy and its effects on imperial unity. He complained that Canadians, as the descendants of United Empire Loyalists, deserved more from Britain than the concessions made to the United States in the Treaty of Washington (1871) [see Sir John A. Macdonald*]. His ultimate hope for restitution lay within a larger Anglo-Saxon unity. This evolution of thought, from the idea of a nation and an empire joined primarily by the bonds of commerce, to a more vague conception of unity based on race and language, was to become common among later imperialists. Haliburton’s public and political concerns were accompanied by a deep personal interest in science. He was a founder and vice-president of the Nova Scotian Institute of Natural Science, organized in 1862 for the reading and publication of scholarly articles on the natural resources of the province. He gave a number of papers and published related articles in the institute’s Proceedings and transactions (Halifax). Haliburton was a fellow of learned societies in Europe and America and attended meetings on both continents. He spent a decade of leisure time researching various cross-cultural customs and superstitions, with a view to proving the unity of the origins of mankind, which, he argued, had never been done systematically. 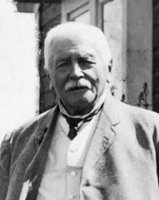 His comparative methodology was adapted from philology, not unusual at the time since anthropologists often combined biology, language, and culture in their studies. The first step was to identify those surviving customs that were universally observed. As in many comparative studies, Haliburton’s ethnographic data were mainly illustrative, and his conclusions deductive. He used examples that supported his position in a “clip and paste” fashion and then proceeded to establish them as universal, deducing that they were inherited and shared a common origin. In this context Haliburton’s most significant and controversial work was a study of the cross-cultural manifestations of festivals of the dead. He concluded that these festivals were expressions of two primitive calendars regulated by the Pleiades. Thus he argued that the primeval meaning of the superstitions and festivals of civilized man could be gleaned by looking at the similar customs of the “unchanged savage.” Haliburton’s ultimate motive in attempting to prove the unity of human origins was to uphold biblical teachings. Like many 19th-century scientists, he contended that science and religion were compatible, yet he urged that any theory questioning the truth of the Scriptures was not to be considered unless the proof was too overwhelming to be in doubt. He became committed to disproving a theory which suggested that the races sprang from different “centres of creation,” a dangerous concept since it questioned the biblical creation and dispensation. Indeed, these inconsistencies were indicative of the changes and confusion endemic in 19th-century science. Perhaps the best summation of Haliburton’s life comes from an acquaintance, who described him as an “amiable gentleman of the old school,” with “the zest and enthusiasm of a man of science wedded to a life of great variety and extensive scholarship.” In his youth Haliburton was devoted to provincial, national, and imperial progress, yet his scientific research was grounded in the historical study of primitive cultures, conducted for the ultimate purpose of retaining an entrenched system of Christian values and beliefs and discouraging the acceptance of new ideas. Thus he personifies the complexities and paradoxes of the Victorian age. Robert Grant Haliburton is the author of numerous pamphlets, addresses, and papers, some of which were never published. Several of his unpublished papers are cited in Morgan, Bibliotheca canadensis, and in the bibliography accompanying Alexander Francis Chamberlain’s obituary article in the Journal of American Folk-Lore (Boston and New York), 14 (1901): 62–64. An undated manuscript, “Influence of the voyages of the Corte Reals on the early cartography of North America,” is preserved among the Haliburton papers at PANS, MG 1, 1693, no.3. Listings of Haliburton’s publications appear in CIHM Reg., the National union catalog, and Canadiana, 1867–1900. He prepared the Catalogue of the Nova Scotian department for the International Exhibition (Halifax, 1862) as secretary to the exhibition commission, as well as the Report of the International Show Committee of Nova-Scotia (Halifax, 1863) and the Report of Nova Scotia commissioners for International Exhibition, 1862 (Halifax, 1864). The two reports were reprinted in Nova Scotia in 1862: papers relating to the two great exhibitions in London in that year (Halifax, 1864), along with various other papers, including one of Haliburton’s addresses, The past and future of Nova Scotia . . . (Halifax, 1862). A volume of poetry entitled Voices from the street; &c was privately printed at Halifax around 1866; a copy is available at the Univ. of Toronto, Thomas Fisher Rare Book Library. 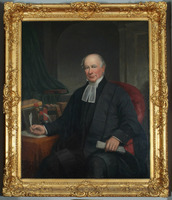 His biography of Thomas Chandler Haliburton appeared as “A sketch of the life and times of Judge Haliburton” in Haliburton: a centenary chaplet . . . (Toronto, 1897), 13–40. PANS, Churches, Christ Church Anglican (Windsor, N.S. ), RBMB, 1832 (mfm. ); MG 1, 1693, Haliburton to Robert Harris, 25 Sept. 1876 (photocopy); MG 20, 226, no.1; 227, no.6; 228; MG 100, 172, no.20; 175, no.20; RG 1, 384A; RG 2, 4, nos.488, 492–93; 6, no.1174; RG 5, P, 49, no.166; 50, no.88; 77, no.170; RG 39, HX, M, 1, bar applications, no.35. Univ. of King’s College Library (Halifax), Haliburton Soc., minutes, vol.1, 9 March 1901; Matriculation records, 1845 (mfm. at PANS). British Colonist (Halifax), 5, 7, May 1868. Halifax Citizen, 15 Feb. 1872. Halifax Herald, 8 March 1901. Almanac, Belcher’s, 1853–1901. Florence Anslow, The Haliburton Memorial Museum (Windsor, ). Carl Berger, The sense of power; studies in the ideas of Canadian imperialism, 1867–1914 (Toronto and Buffalo, N.Y., 1970); “The true north strong and free,” Nationalism in Canada, ed. Peter Russell (Toronto, 1966), 3–26. J. W. Burrow, “Evolution and anthropology in the 1860’s: the Anthropological Society of London, 1863–71,” Victorian Studies (Bloomington, Ind. ), 7 (1963–64): 137–54. Canadian annual rev. (Hopkins), 1901. Canadian men and women of the time (Morgan; 1898). F. G. J. Comeau, “The origin and history of the apple industry in Nova Scotia,” N.S. Hist. Soc., Coll., 23 (1936): 15–40. Directory, Halifax, 1858/59, 1863, 1869–79. Eaton, Hist. of Kings County. D. P. Gagan, “The relevance of ‘Canada First,’” JCS, 5 (1970), no.4: 36–44. D. A. Muise, “The federal election of 1867 in Nova Scotia: an economic interpretation,” N.S. Hist. Soc., Coll., 36 (1967–68): 327–51; “The General Mining Association and Nova Scotia’s coal,” Bull. of Canadian Studies (London), 6, no.2/7, no.1 (1983): 71–87. Official opening of “Clifton” as the Haliburton Memorial Museum at Windsor, Nova Scotia, July 4, 1940 ([Windsor?, 1940? ]; copy in PANS, Library, Vert. file, 105, no.33). W. S. Wallace, The growth of Canadian national feeling (Toronto, 1927). P. P. Wiener, Evolution and the founders of pragmatism (Philadelphia, 1972). Bonnie Huskins, “HALIBURTON, ROBERT GRANT,” in Dictionary of Canadian Biography, vol. 13, University of Toronto/Université Laval, 2003–, accessed April 24, 2019, http://www.biographi.ca/en/bio/haliburton_robert_grant_13E.html.